One of the things I really like about Rockler is that they find a way to innovate the "accessories" of the workshop. 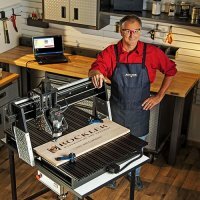 While everyone else is making the power tools, Rockler is taking the attachments that go on the power tools and is making them better for the average woodworker. 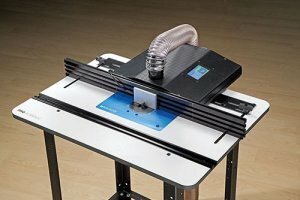 Their latest router table is just another fine example of what I mean; It's a Convertible Benchtop Router Table that won't take up much space. 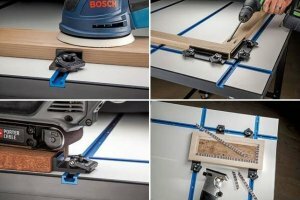 Rockler is taking some of the hassles out of adding a few drawers to your woodworking projects by getting some of the work out of the way for you. 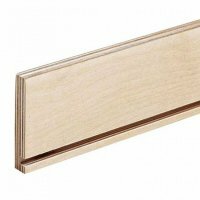 By offering drawer side stock in a variety of sizes, you no longer need to buy a full sheet of 1/2" plywood when you need to make a drawer or two. Rockler Woodworking and Hardware wants to make the installation of drawer slides simple with their new Universal Drawer Slide Jig (57302). The jig fits most types of drawer slides and provides a solution for accurate and repeatable positioning of both side-mount and center-mount slides within a cabinet. 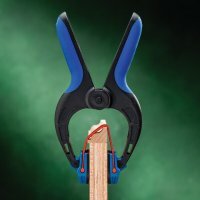 Rockler has come out with a new clamp that makes it easier than ever to clamp onto the edge of plywood, MDF and other sheet goods. The Rockler Bendy Clamp provides even pressure around the edge, allowing for hassle-free installation of thick edge-banding and moldings. 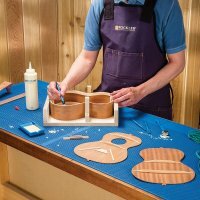 While Rockler's popular Bench Cookie Plus Master Kit normally sells for just under $64, it has come to my attention that it is currently on sale for only $39.99. The Plus Master kit not only includes a set of non-slip router cookies, but also a few different accessories that extend their versatility. 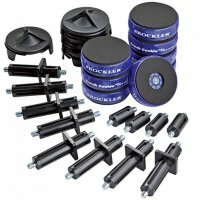 Rockler Woodworking and Hardware has introduced T-track Stops, a new accessory that adds more versatility to the Rockler T-Track Table and other T-track setups. Their low-profile design allows them to hold materials in place while leaving the top surface available for sanding, surface planning, or any number of other woodworking tasks. 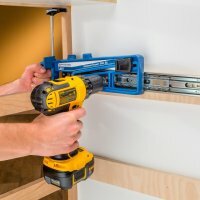 Rockler Woodworking and Hardware has come out with a new product that I think is pure genius; and this genius comes in the form of a new electric router fence that can be programmed to make cutting box joints, dadoes, and dovetails a breeze. 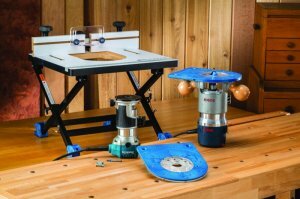 For the most part Rockler caters their stores and their tools to people who work in shop environments, and their own products are no different. 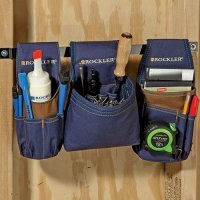 Rockler has come out with a new line of tool pouches and aprons that have been designed to meet the different needs of those working in a shop, including the ability to use them off the belt.